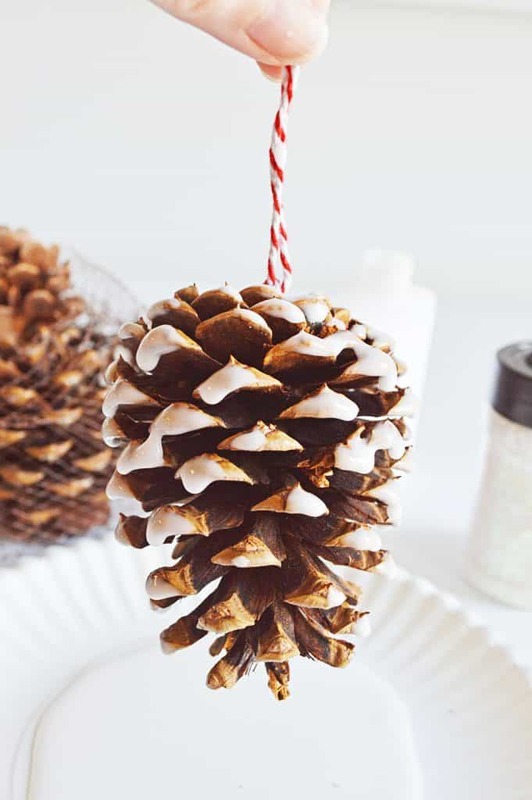 I’ve always loved pine cones, especially during the holidays. During the fall I buy the cinnamon scented cones and place them in wicker baskets through out the house and for Christmas, we sometimes use them as ornaments. 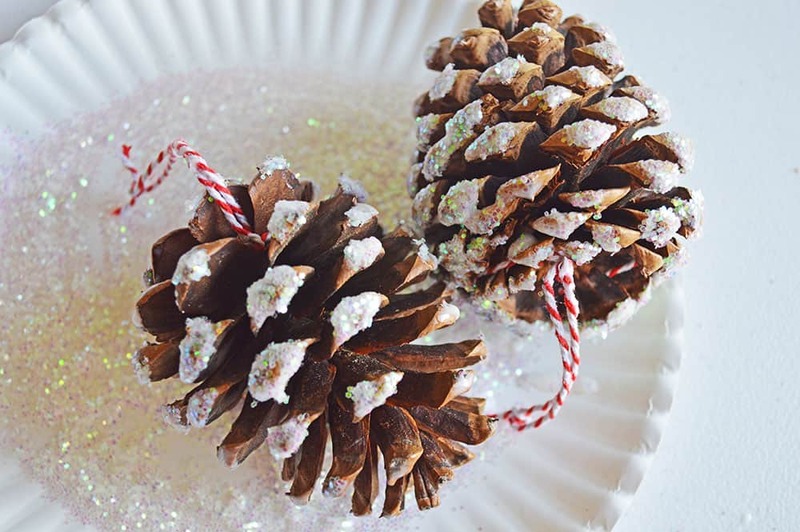 This season, I decide to give the pine cones a glittery makeover a litte early, and place them in glass bowls on our table for Thanksgiving. Then afterwards, I will hang them on our tree. See the easy to make tutorial below. 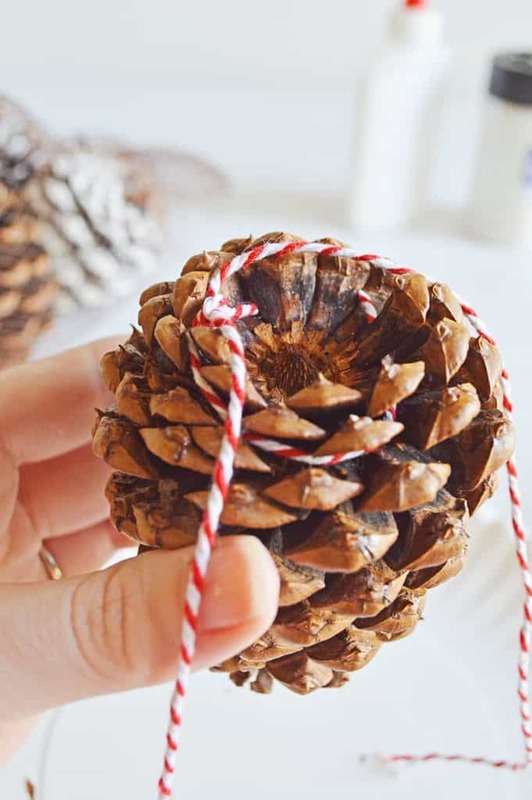 Tie a strand of twine around the bottom of the pine cone. 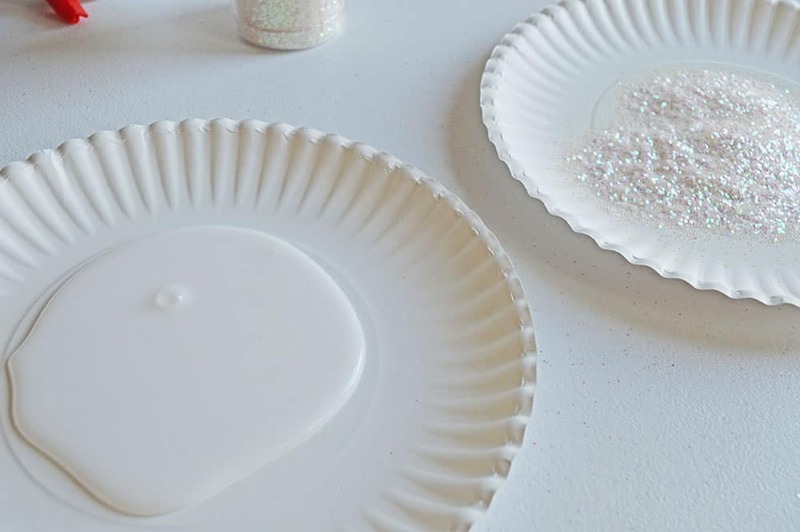 Using paper plates, fill one with glue and one with glitter. 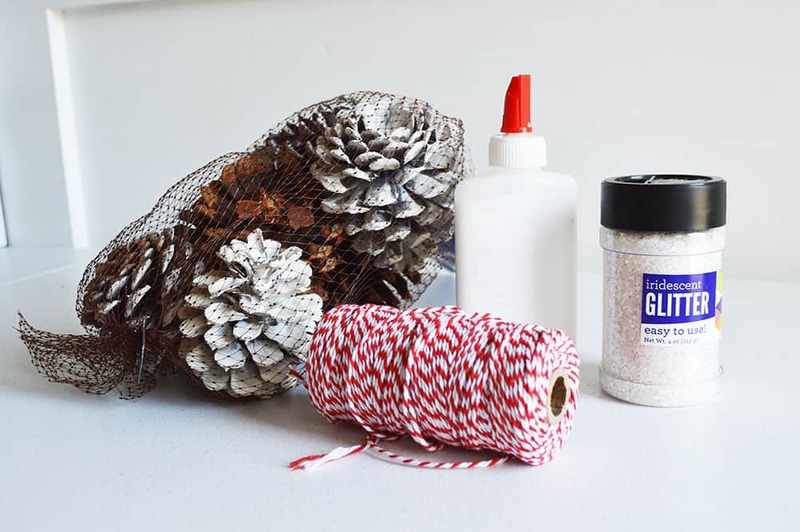 Dip the pinecone first in the glue, then in the glitter, rolling it around to cover all of the ends. 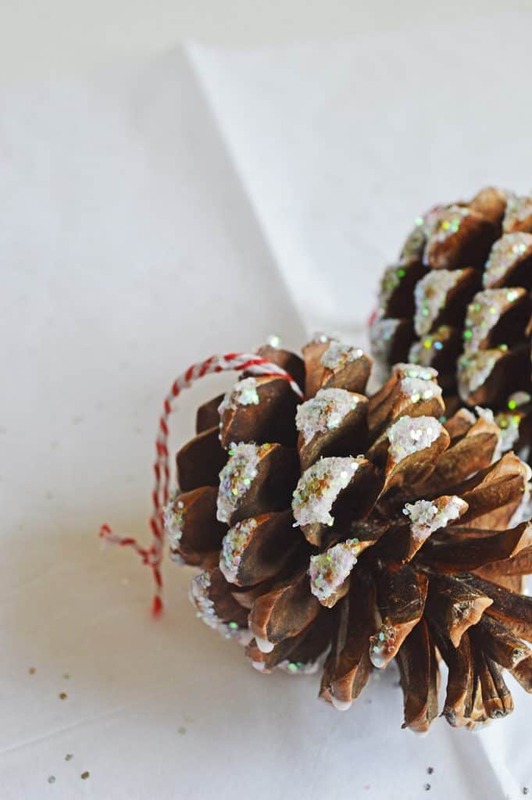 Place glitter pinecones in a glass bowl or hang the pine cones on your tree. Click on image below for another easy to make DIY. These remind me of childhood! I love crafts. The kids will very likely love making these. I have a yard full of pine cones. I am so making these with my son this weekend for fun. I can actually glue and glitter. These are so pretty! 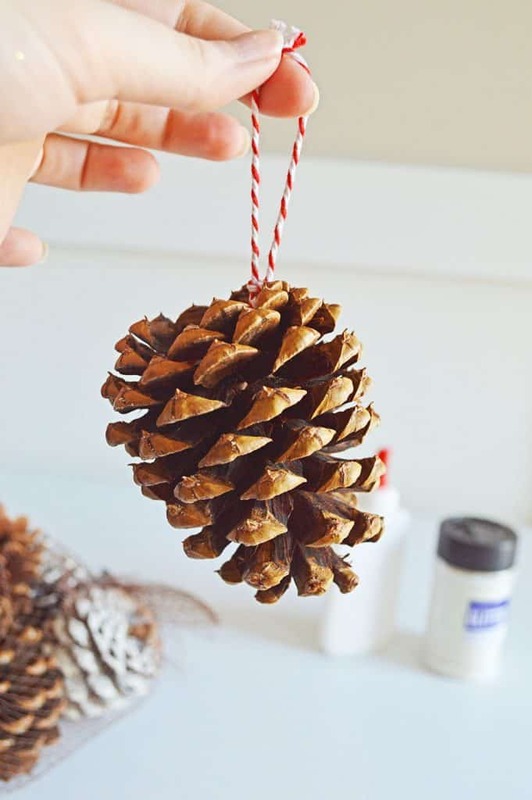 My kids love to collect pine cones, now I have a craft for them to do with them all! These are so gorgeous- I love that they can be repurposed for various holidays! What a fun and easy way to spruce up a classic decoration. So cute! I love this project! 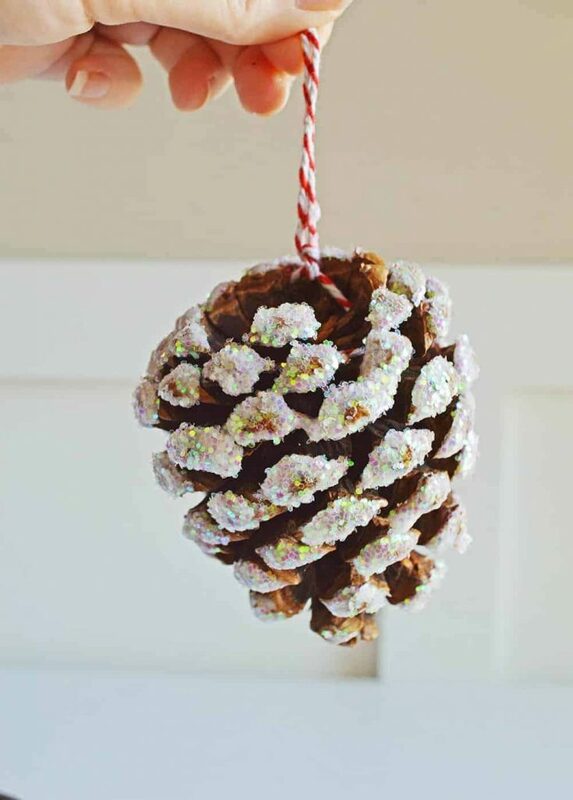 Fun and easy for the kids to make, we need a whole tree of these! I adore this simple and easy craft! My son has been collecting pine cones for weeks and it was driving me crazy! Now this gives me an ideas to decorate them all for the tree! Plus they are sparkly-which is my fave! I love having a craft like this to do with the kids especially on snow days! I’ll be sure to save this one. 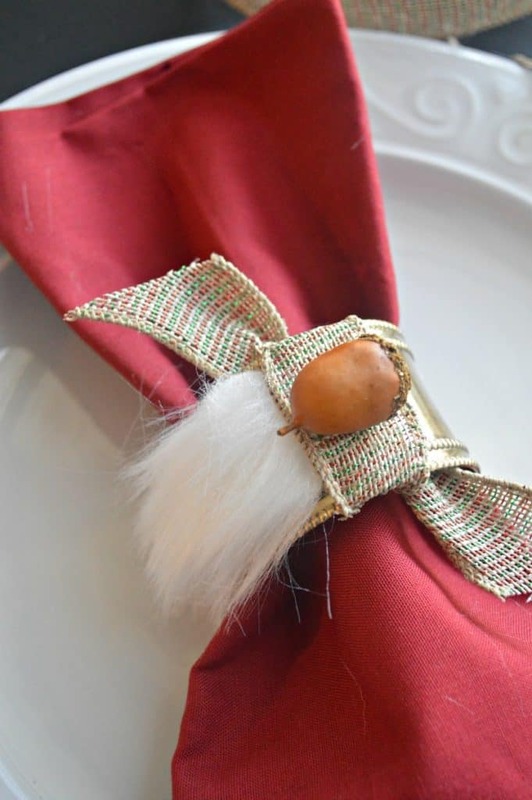 This is an adorable craft for the holidays. I would use these in a centerpiece. They came out very pretty! I used to make pine cone ornaments when I was a kid. I’m going to have to try this with my daughter! I’m sure she’d have a lot of fun. Very cute!! This would make a fun craft for our girl scouts! 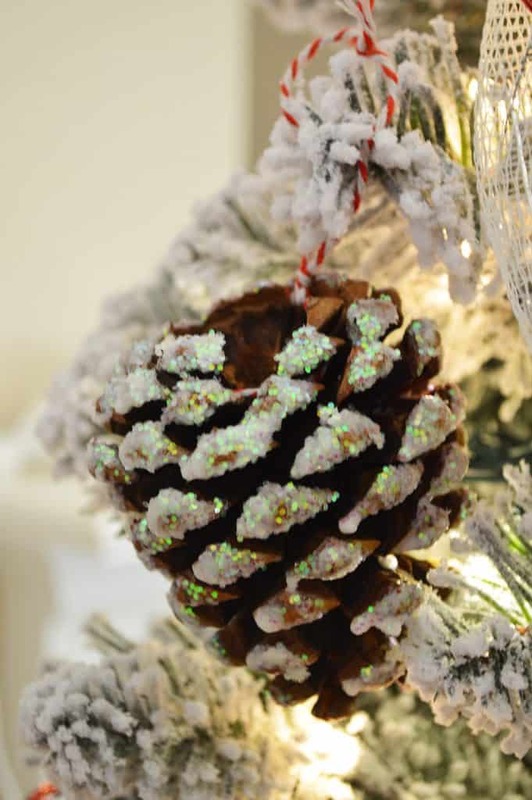 I love pine cone ornaments. I used to make them with my students every year and this post reminds me that I’ve never done it with my own kiddos. My daughter and son would have lots of fun helping decorate these. I guess we will be making some pine cone ornaments this year! I love this ornament! I love to craft and make Christmas decorations, and this one is easy enough for my kids to help out with! I like to add nature inspired elements to my home and these are perfect.